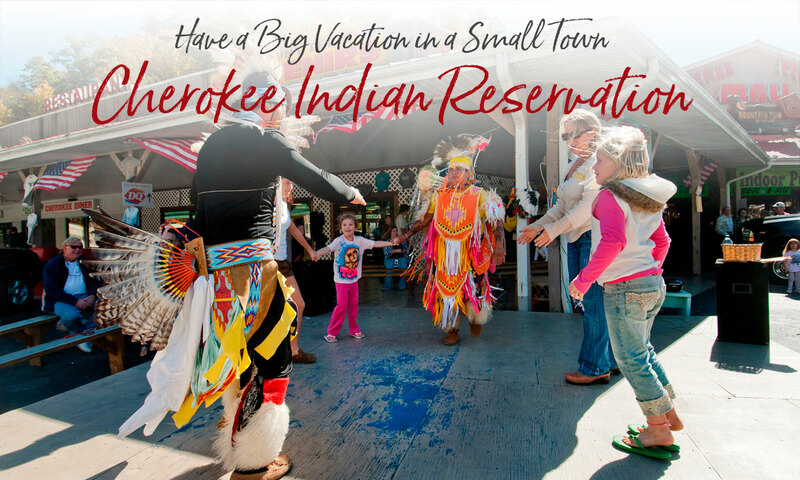 No visit to the Smoky Mountains would be complete without a trip to Cherokee, where traditional arts and crafts and Native American culture are respected and preserved for coming generations. Much of what is called the Qualla Boundary is within Swain County and we are proud to help you learn more about the original inhabitants of these mountains. To find out more about individual businesses in Cherokee, please visit our shopping, family attractions and tubing pages. Cherokee is a gateway to the Great Smoky Mountains National Park. The Oconaluftee Visitor Center, Mountain Farm Museum and Mingus Mill are located just north of Cherokee on US 441 (Newfound Gap Road). Easy day trips to Clingmans Dome, Gatlinburg, Cades Cove and Pigeon Forge; horseback riding at Smokemont; and great hiking trails are located on US 441. Cherokee is also the beginning of the Blue Ridge Parkway. The entrance is on US 441 just north of Cherokee. Enjoy a trip to Waterrock Knob for a beautiful sunset, or just take a scenic drive on this beautiful “back road” of America. 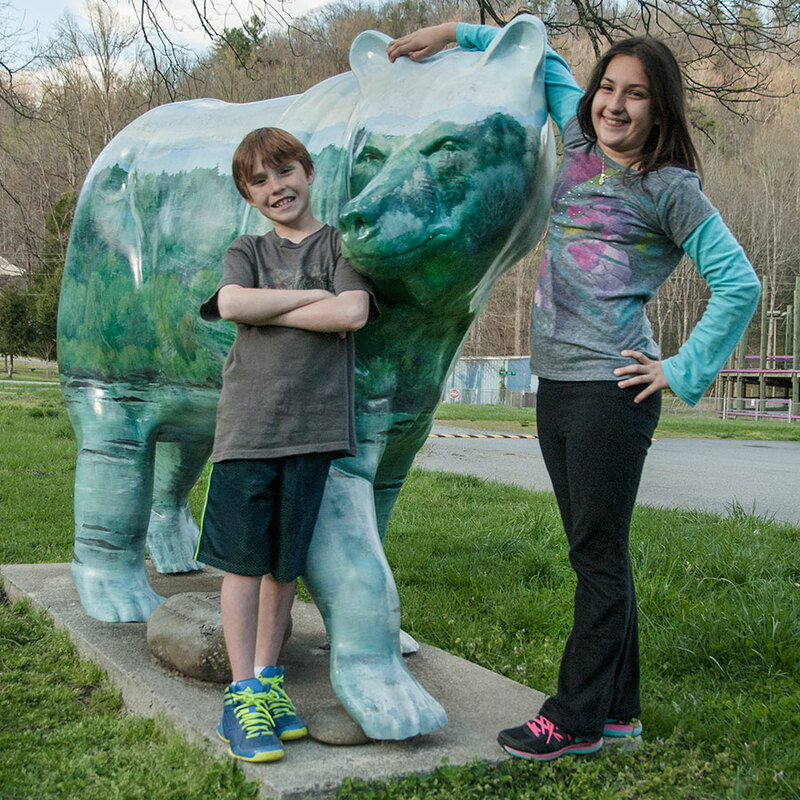 Maps of all 20 bear locations are available at the Cherokee Welcome Center. Some folks have even had their picture made with every bear!